A building’s roof is without a doubt one of the most important parts of the structure. When it comes to buying a new car, you wouldn’t trust just any ordinary Joe to sell you a quality car that’s both safe and reliable. So why take a chance when it comes to your roof? 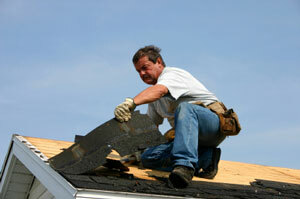 It’s important to choose an experienced roofing contractor with the expertise to install the right roof for your home. As a homeowner you have enough to worry about. You shouldn’t have to sit around stressing about leaks and whether your roof is going to hold up through the next bad snow storm. At Roofers Nation, everything we do is based on the belief that every homeowner deserves peace of mind when it comes to replacing their roof or gutters. Contact us today to schedule your Free Estimate for roof installation. 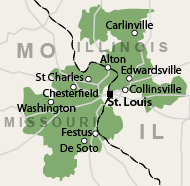 We proudly service St. Louis, St. Charles, Florissant, Ballwin, Chesterfield, O Fallon, Granite City, Saint Peters, and areas throughout Missouri and Illinois. Installing a New Roof can be Complicated – We Make it Simple! 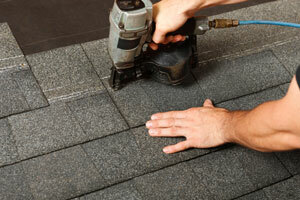 When it comes to replacing a roof, there is more to it than just the roof itself. In addition to replacement, we also focus on other areas like gutters and downspouts. All of these things can affect the life of your roof and when damaged or improperly installed, they can also allow water to enter your home. Gutters and downspouts. If gutters and downspouts are damaged and aren’t properly moving water off the roof and away from the home’s foundation, this can cause your basement to flood and may even cause damage to exterior parts of your home, like siding and paint. It’s important to make sure your gutters are free of clogs. Downspouts should also be securely connected. Roof flashing. The flashing around chimneys, vent stacks and skylights, as well as step and valley flashing should also be inspected by a professional roofing contractor. Roof ventilation. Although soffit vents, trusses, and ridge vents rarely need maintenance, gable vents are another story. If not properly screened, they can allow insects and rodents to access your attic. These vents may need to be inspected from inside your attic and also from the exterior of your house. Is your MO and IL Roof in Need of Replacing? Let Roofers Nation Help You! When it comes to replacing your roof, there are many areas that should be inspected, and several options as far as the type of roof and color. Letting a professional roofing expert like Roofers Nation handle all the details will make your life easier, and will ensure that you get a long-lasting roof that increases your home’s value and looks good too! Don’t wait until the damage is done and water is already leaking into your home to replace your roof. 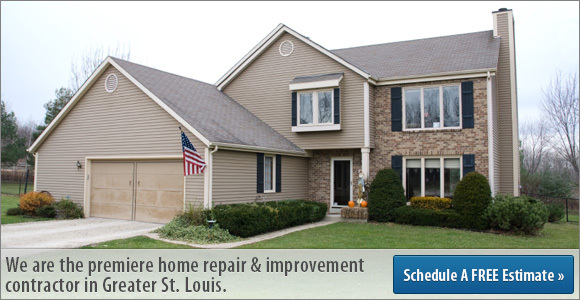 Contact us today to schedule a Free Estimate in Missouri and Illinois! We proudly service St. Charles, Florissant, Ballwin, Saint Louis, Chesterfield, O Fallon, Granite City, Saint Peters, and surrounding areas.